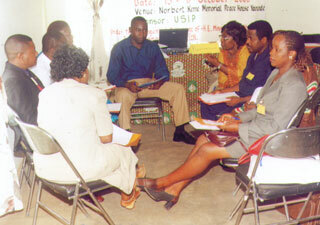 Building a Peace Resource Centre in Cameroon. 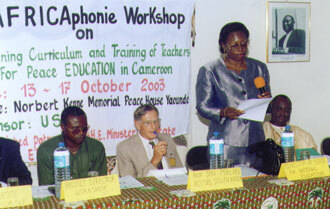 AFRICAphonie organized a one-week training workshop bringing together more than 70 teachers, educationists and curriculum developers to design the content of a teachers’ manual and students’ reader on Peace Education for Junior Secondary School in Cameroon (Anglophone system). A core group is currently working on the Reader and Manual. 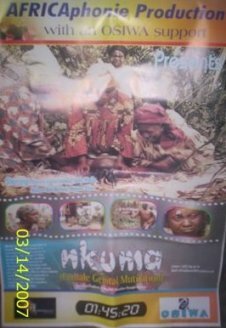 Publication is due January 2005. The Ministry will be contacted later on for lobbying and advocacy. The Project, which will end in July 2005, is sponsored by U.S.I.P America.